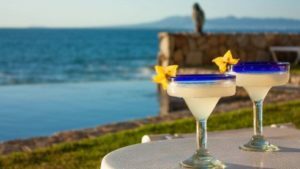 We can’t be reminded enough of this simple deterrent to the flu and other illnesses, which assault Puerto Vallarta at the same rate as the remainder of the world outside paradise. The initial recommendation is to get an annual flu shot. The more people get vaccinated, the more are protected and create herd immunity. This year, winter 2017 -2018, it is suggested to not use the nasal spray application (live attenuated influenza vaccine or LAIV), which is often used for children. Injectable shots are more effective, painless, and available in Puerto Vallarta. There are different strains for age, pregnant women and adults. Standard flu shots are the most common; high-dose for older people and those made with adjuvant, also for older people. Since there are constantly changing viruses, annual shots are highly advised. This year we are protected from three to four circulating flues on this continent, depending on whether we have received the quadrivalent or trivalent. For those planning to travel to or from Puerto Vallarta, consider it takes approximately two weeks for the antibodies to do their job, so plan accordingly. Even though October is the primary month to get vaccinated against the flu, it will be beneficial to protect yourself all through the season. It’s never too late. Flu season can last as late as May. There are never super accurate statistics on flu due to the fact that only the sickest are hospitalized or see a doctor, whereas most of us simply slog through it until we feel better. According to the CDC, flu vaccinations are not perfect but they are the best tool for protection against illness. The only complete prevention is living in a bubble and they usually don’t do so well at the beach. Preventative measures include washing your hands, keeping your hands away from your face and staying away from people who are ill. If you get sick, stay home; don’t expose others. Cover your mouth when you cough and sneeze, using disposable tissue. Pre and probiotics are highly recommended on a daily basis to shore up the immune system; drinking a lot of water is essential. Your body weight divided by two is the suggested minimum amount of ounces. Keeping yourself hydrated is the best advice under any circumstance and when in elevated temperatures, make sure you have a vessel with you at all times. No, gin and beer don’t count. If you are traveling, consult with your insurance carrier to make sure you will be covered in Puerto Vallarta. It is amazing how many people we meet who are here on extended stays and haven’t thought of this. Hospitals and doctors in Puerto Vallarta are certainly very reasonable compared to their counterparts to the north but any serious illness will set you back, regardless, especially if you must be hospitalized.